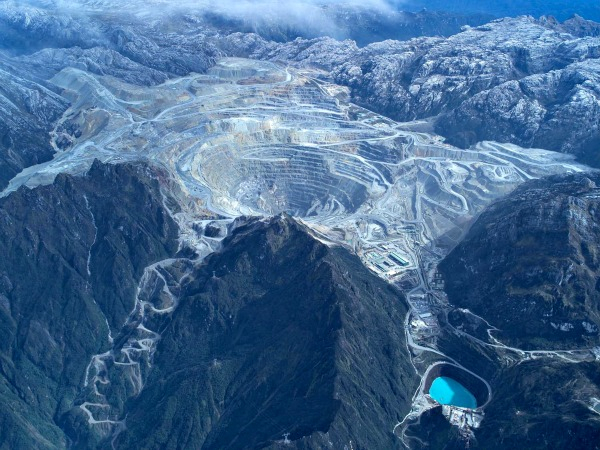 Freeport McMoRan Copper and Gold's Grasberg mine is the world's largest gold mine and third largest copper mine. Indonesia signed Friday a new mining-contract with Freeport-McMoRan Copper & Gold (NYSE:FCX) that will allow the local subsidiary to resume copper-concentrate exports after six months of standstill. The deal is expected to pave the way for other miners, such as fellow US-based Newmont Mining (NYSE:NEM) to reach an agreement that solves the long-dragged row over restrictions on mineral exports imposed by Indonesia in January. Under the deal, Freeport Indonesia will pay higher royalties, build a smelter and pay tax on copper concentrate exports. Meanwhile, its parent Freeport Mc-MoRan said in a statement it will sell around 20% of its stake in the Indonesian unit to a local investors in coming years. As part of today's deal, the government reduced Freeport's copper concentrate export tax to 7.5% from 25%, which will be completely phased out when a planned smelter is one-third completed, said Sukhyar, the coal and minerals director general. Indonesia introduced restrictions on export of unprocessed minerals in a bid to increase local processing in Southeast Asia's largest economy. This week the country allowed two miners to resume exporting iron ore, lead and zinc concentrates. Freeport Indonesia Chief Executive Rozik Soetjipto recently revealed the company plans to invest $7.1 billion in Grasberg if the government extends its contract by 20 years. This is on top of $9.8 billion it plans to spend between 2012 and 2021.